The 10 Best Mexican Restaurants in Mississippi! Mexican restaurants are the perfect places to gather for big get-togethers, casual business lunches, or family meals. Whether you enjoy Tex-Mex favorites or you're looking for experimental fusion fare, there's something for everyone in our choices for the 10 best Mexican restaurants in Mississippi. The Iron Horse Grill in downtown Jackson is a Mexican-Southern fusion restaurant, popular for its cool vibe and regularly scheduled live music. Although the original Iron Horse location burned down (twice! ), the restaurant is now housed in the old Armour Smokehouse, built in 1906. The charcoal-grilled fajitas are a favorite, as is the habanero pasta. Fernando's in Pearl boasts that it is the oldest Mexican restaurant in the state, and as soon as you walk in, the smell of grilled meat will tell you that you're in the right place. The fajitas are worthy of their place in the restaurant's name, but everything on the menu is delicious. Baja Beach is a unique Mexican seafood restaurant right on the beach in Biloxi. They call their cuisine Coast-Mex, and it includes classics like guacamole and enchiladas as well as coastal fusions like surf-n-turf tacos. Enjoy the delicious food along with oceanside views and a huge tequila selection. When it comes to a college town like Starkville, a great Mexican restaurant is a necessity. Mi Hacienda is a favorite of students and locals alike, with its cheery decor, friendly staff, and specials like buy one get one half off combos. Drop in for a margarita today! Bay St. Louis is an eclectic little town by the sea, and El Maguey fits in perfectly. Their decor is unique and artistic, and the dining area is spacious and comfortable. 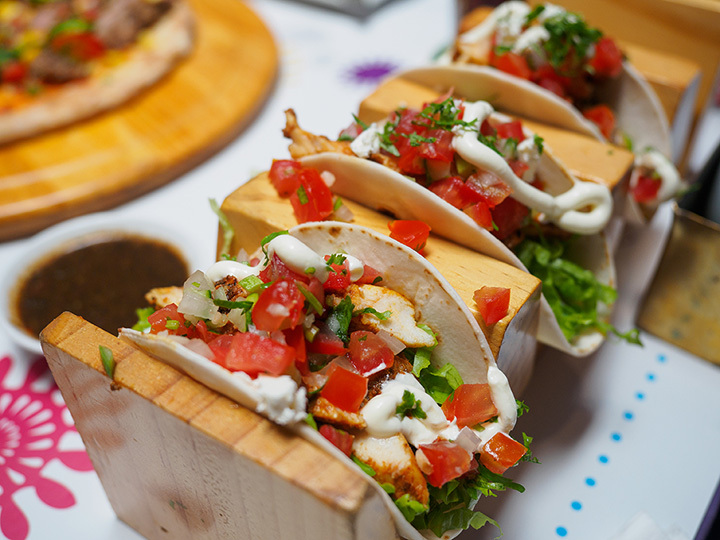 The menu features a number of authentic Mexican dishes with fresh ingredients served in generous portions. Taco Sombrero is a casual fast-food style Mexican restaurant. Their food is made by hand daily. The fresh, fast and affordable combination is obviously working for them— they've been a favorite of locals in the area for years and have recently expanded to a second location. Try the taco burger for a fast-food treat! Mi Toro in Corinth prides itself on fresh, authentic food served with friendly service. Customers love the Bull's vibrant flavors, and there are even two locations in Corinth for more convenience. Locals rave about the Chicken Feliz and the house special fajitas! Taco Felix has a reputation in Hernando as being a great place for delicious food in a fun atmosphere. Enjoy the bright, cheerful colors in the dining room, or sit on the patio for your meal. The menu features the favorites you expect, plus innovative options like barbecue tacos—and don't forget to stop by for breakfast. Everyone in the family will find something to enjoy at Pepe's (also known as El Bosque). Locals love the friendly, professional staff—the owner is usually on hand for a friendly chat. Regulars recommend the California burrito, chile relleno, and chicken fajita taco salad. Maria's Cantina's slogan is Mexican With a Twist, and their unique fusion flavor making a big splash in Southaven. They use the freshest ingredients to make their food, and they specialize in bright, complex flavors. From Mexi-Q to Chimichurri Shrimp, tortas, and more, you'll love everything that Maria's is serving up.